Love running your craft business but never written a strategy before and don’t know where to start? Join us! We’d written strategies before, but never run a craft business! Alternatively, maybe you make New Year’s Resolutions every year and forget about them by, well, about now! Read on, and find out how to smash them this year. Sounds simple doesn’t it? Want something done, get a strategy. OK. Where from? How do I write it? What does it do? How much detail is in it? What do I do once I’ve got one? Do I even need one? Do I need a strategy and if so, why? You probably don’t NEED one, but then you probably won’t achieve your goals either – other stuff will get in the way. A strategy which you refer to often will help keep you focussed on achieving what you’ve set out as being important to you. Not only that, but it’ll help you make the right decisions for you. By holding up every opportunity against your strategy, you’ll be able to select the ones that will help you achieve your goals and reject the ones that don’t. Essentially, a strategy sets out how you’re going to achieve your goals. That’s it. Seriously, nothing more complicated than that. The trap we often fall into is having vague goals and roughly knowing how we’re going to achieve them, but not properly thinking it through. This is an exercise in which you allow yourself a couple of hours to actually properly think about it. For example, you may think – yes, I’m going to do marketing this year! Writing a strategy requires you to think how you’re going to do it – will you be spending hundreds on Google Ads, will you be running competitions, will you be relying on word of mouth? Or, you may have made a New Year’s Resolution to get fit – here, writing a strategy requires you to think about how to do it – will you be joining a gym, or going running, or cycling to work? If you know how you’re going to achieve something, it becomes easier to make a plan, which in turn details how much you’ll spend on advertising or how many times per week you’ll go to the gym. So – a strategy is a high level, low detail plan of how you’re going to achieve your goals. How do I write it? Start by thinking about what you want to achieve and when. A strategy should have a length of time for which it is current. If you’re a new start-up you may want your strategy to cover the first 6 months and what you want to achieve during this time. A more mature business may want their strategy to be for the year ahead, or indeed for the next three years. Whatever you decide, be realistic about how much you expect to achieve – finance and people play a large role in how much you can realistically get through. Next, with your goals in mind, write down all the things which could contribute something to achieving that goal. 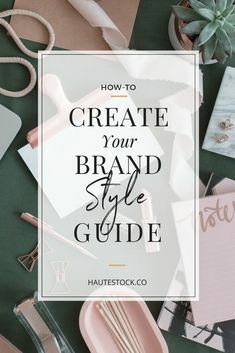 For example, if your goal is ‘raising awareness of the brand’, there are lots of ways this could be achieved – advertising, social media, face to face, networking, wholesaling, craft shows and so on. Don’t stop at the obvious – challenge yourself to think of more, ask friends to help. Or, in the case of your New Year’s Resolution to get fit, you would list all the methods by which you could do so. When you have a long list of ways you could achieve your goals, select the most realistic ones – not necessarily those which you consider are the easiest – they could be the ones which will be more difficult or expensive or time consuming, but gain you the largest amount of progress towards your goal. Line them up on a page with your goal at the top. That’s the bare bones of your strategy sorted. Your strategy on its own, may help you someway towards achieving your goals, but you also need another level of detail to get you moving. This level of detail will be your plan of action. Your strategy might say ‘social media’ to raise awareness of your brand, your plan should set out things like: which channels, how you plan to increase your followers, what sort of content you’ll post and how often. Your strategy might say ‘running’ to get you fit, your plan should set out: what type of running (sprint/stamina), how you plan to stay safe, how often and where to. You should also put some measures of success in your plans. How do you know if your social media plan is successful? It might be if you’ve increased your followers on a particular channel by 20%, or if your followers total 300. Likewise – how do you know if your running is making you fit? You could measure distance run or perhaps resting heartbeat or recovery time. What do I do once I’ve got one? So, now you’ve got your strategy and plans, what do you do with them? Well, fairly obviously, they’re not going to do the work for you! You actually have to do the stuff that you’ve planned! You should review your progress against the plans and the strategy at regular intervals. That way, if something you planned to do isn’t bringing the desired result, you can tweak your plan and try again. A little while before the time the strategy ‘runs out’ (remember at the beginning, you set your strategy to achieve your goals over a certain period of time) you should start formulating your next strategy, for your next goals. One of these may well be maintenance of the first set of goals. For example, your strategy for the 2nd half year of trading may be to increase sales – but you’d still want to maintain the awareness of the brand that you’d built in the first half year. Or you may want to add a fitness activity to your portfolio – like cycling or swimming as well as running. We’d love to hear about your experience of using this simple system. Let us know how you get on in the comments below.